When it comes to money and finance everyone seems to be spreading their experiences and knowledge. In school you take long lectures on the worth of money, investments and bundles of calculating formulas. But there are some things you need to learn all by yourself. If randomly asked “what is money made of?” and it is most commonly answered “paper of course”, but actually it is mostly cotton. This might seem weird but true. One thing that is taken for granted by youth is the worth of money. No one can teach it to you until earn it yourself. You might have investment gathered for a business and your idea may be commonly appreciated by people, but you know how much time and energy it takes once you get into it. 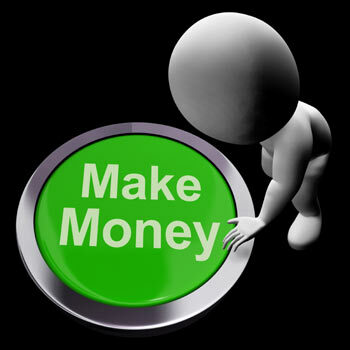 When you think about starting up two businesses at a time, all people tell you is the money and finance you might need. In actuality it’s about how much time you can give to it. No matter how much active you are, for starting two businesses at your own you need more time than money. When they say take financial advice, they won’t tell the name and address of the financial advisors. You need to strive for it to find a person you can trust with your money. You might learn about all the techniques and strategies about money managing but there is no perfect plan to fit your budget and give you the desired results. There is no perfect formula to success that can be taught in classrooms until you get out there and learn it by you. Also not every ones formula to succeed is different. While taking financial advices your advisor might give you the advice that’s most likely to incline towards the company they expect a commission from. You cannot trust a new person with your life savings and profit. No one tells you that the share might fall too and the damage in that case. When you have the money you need to start up you need to contacts. You cannot start up hiring a number of workers to do it for you. A new business is made successful by doing more with less people. There is a great difference in school life and a practical one. The theories you spend hours to memorize won’t do for you if you don’t learn the current and actual market planning out there.